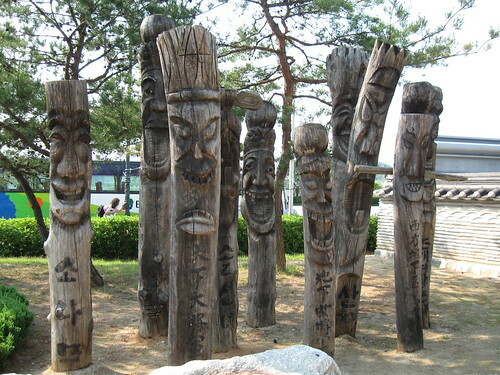 totems – Hello Korea ! IMG_0698, originally uploaded by Almost-Human. I used to carve walking sticks that looked similar to this!